Papra and bakhra are two religious dishes prepared as part of a death ritual ceremony called 'Stum' in the Parsi faith. In 'Stum', food is a crucial accompaniment. It is not offered to any deity or a fire entity. It is meant for the soul of the person who has passed away.  A young Zoroastrian priest by the name of Marzban Hathiram—who was once a financial controller—specialises in conducting these singular death ceremonies in the sleepy, coastal town of Udvada in Gujarat where the earliest Zoroastrians from Iran are believed to have settled. For the tightly-knit community in Udvada, Hathiram is still bit of an outsider. But he carries on. The ancient town of Udvada, just off NH8, is a treasure for two things: the famous temple 'Atash Behram' whose holy fire has been burning for over a millennium and the delectable Parsi food. In the book 'Bhagwaan ke Pakwaan: Food for the Gods', you will find the recipe for the wholewheat flour fritters papra and bakhra laid out in exquisite details. Such is the distinctive charm of this cookbook. 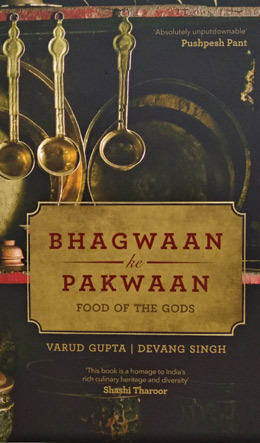 For 'Bhagwaan ke Pakwaan' mixes and mashes nuggets of religion, history and culture to offer sumptuous treats on food and faith. With portions of popular culture and millennial-speak thrown in. Written by Varad Gupta and photographed by Devang Singh, 'Bhagwaan ke Pakwaan' mines the precarious annals of religion and faith, from Meghalaya, Gujarat and West Bengal through Odisha and Spiti in Himachal Pradesh to bring out the flavours of rice beer from a Christian village, or how Kolkata influenced the food habits of the last remaining Baghdadi Jews there with the beautiful Maghen David Synagogue always around like a background score, the 56-course mahaprasad for Lord Jagannath with recipes of besar, potol paneer and malpua or the many faces of thukpa from Spiti. But the foodie's guide also has a decent smattering of fun trivia and heartwarming characters existing on fringes of daily drama in these nondescript spaces. There is former engineer Vinod Bhai from Udvada who now owns a backyard ice cream factory, churning seasonal fruity concoctions the old-fashioned way. His hand-cranked ice-cream is delivered in a rickshaw, which comes with an in-built refrigerator, and no celebration is town in complete without Vinod Bhai's sitaphal or mango scoops made with just milk, jaggery, ice and salt. Or a 'btw info' on the country's first Miss India in 1947 who was Esther Victoria Abraham, a Baghdadi Jew from Calcutta. She was crowned Miss India when she was pregnant with her fifth child, believed to be fathered by a Shia Muslim, a perfect scandal at the time. But Abraham, known by her stage name Pramila, was hardly ever deterred by the precepts of society. She starred in 30 films and produced 16 more. Or how the Spiti Valley still has a king called Nono who loves Hollywood chart-toppers like The Magnificent Seven and Butch Cassidy and the Sundance Kid. The book could have been better served with more case studies and examples from south India which has the most vibrant scene when it comes to temple food. But the genre of cookbook writing, as it exists in India, can benefit from many-splendoured focus of 'Bhagwaan ke Pakwaan'.